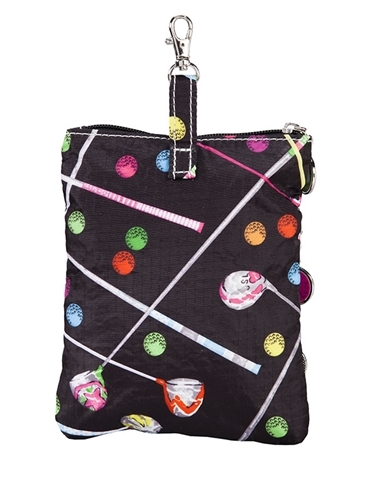 Sporty and fun golf print. 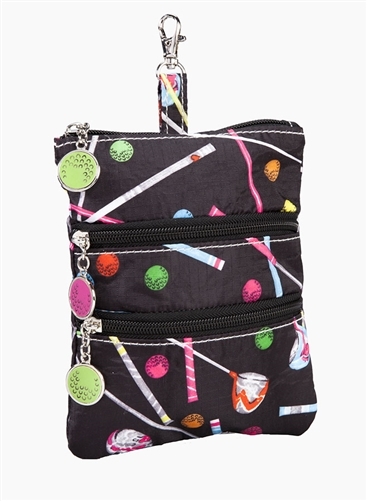 Top zip entry with golf bag and golf ball zipper pull. Two outside zippered pockets with golf ball zipper pulls.